The SJ 8841 features working heights of 11,4 m and 12,5 m respectively. 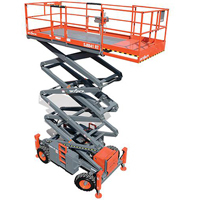 This model is drivable at full height, with capacities ranging to 909 kg allowing for maximized productivity. 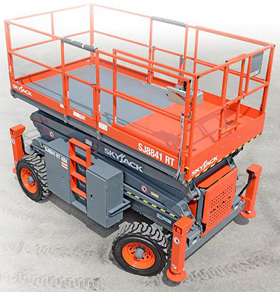 As with every Skyjack model, these units use an analog based control system, featuring Skyjack’s standard color coded and numbered wiring, for ease of troubleshooting.